To most in the Arizona jazz scene, Patricia Myers was a supporter, fan and lover of jazz. To Young Sounds, she was family. 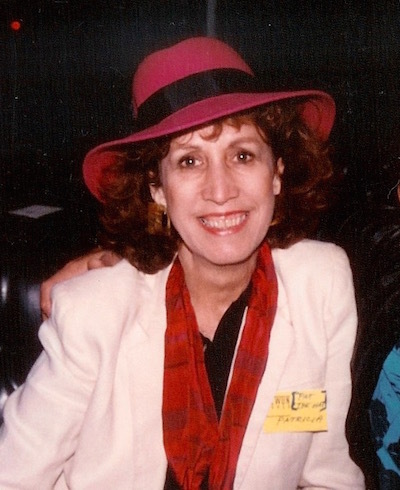 Myers devoted her life to promoting and nurturing the Phoenix jazz community as both a journalist and a producer of events. 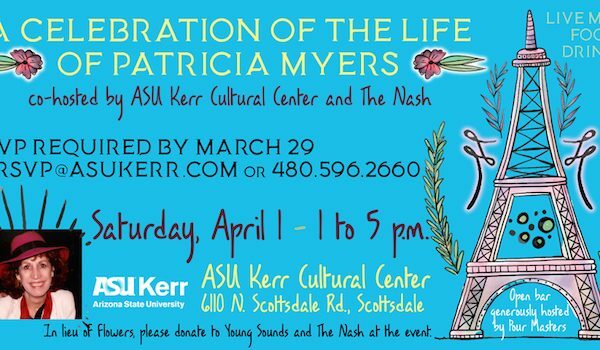 You are invited to a Celebration of the Life of Patricia Myers – jazz journalist, organizer, producer, and bonne vivante – on Saturday April 1, from 1:00pm to 5:00pm, at the ASU Kerr Cultural Center in Scottsdale. The event is hosted by The Kerr, The Nash, and Patricia’s family. Young Sounds of Arizona has partnered with The Salvation Army to offer a night of vibrant jazz at The Kroc Corps Community Center on Monday April 3rd. The concert is part of Young Sounds’ efforts to reach out to communities where exposure to the arts may be limited.